Warm climate, miles of sand beaches, ancient monuments, vineyards and modern resorts invite travelers to seriously consider Romania's Black Sea Coast as their summer vacation destination. Beaches, stretching from Mangalia to Mamaia, are dotted with fine resorts and hotels, and countless sports and entertainment facilities. Remnants of ancient Greek culture as far back as the 7th Century, BC, when seafarers established trading colonies along the coast, are still being discovered. Romania's main sea resorts are centred on 45 miles of fine sand beaches and include Mamaia, Eforie, Neptun, Jupiter, Venus, Saturn and Mangalia. 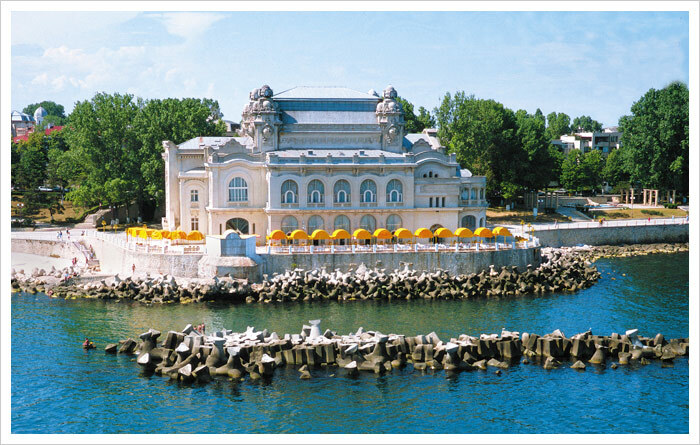 The Black Sea coast has long been known for cures of arthritic, rheumatic, internal and nervous disorders. Eforie Nord and Mangalia Spas specialize in mud baths (the mud is taken from the area's salty lake waters) as well as in world famous "Gerovital" and "Aslavital" original rejuvenation treatments. Vacationers at Romania's Black Sea Coast can also join organized trips from the seaside to a number of locations in the country, including the Danube Delta, the painted monasteries of Bucovina, to the nation's capital city, Bucharest, or to nearby Bulgaria, Greece and Turkey. © Copyright 1994 - 2019 by RomaniaTourism.com. All rights reserved.